People thrive on appreciation. Appreciation is considered one of the top motivators for employees. It is directly linked to happiness in the workplace. Employee appreciation has shown positive results in increased productivity as well as inciting feelings of loyalty towards one’s workplace. Did you know that 66% of employees are more likely to leave their job if they didn’t feel appreciated? Among millennials, the number of employees who’d leave if unappreciated jumps to 76%. The importance of employee appreciation is not lost on anyone. Meanwhile, the last decade has seen a rapid birth of various ideas and strategies to make recognition the norm. In this article, you will find an effective list of 26 employee appreciation ideas so that 2019 becomes the year of turning demotivated employees into happier ones. It’s expensive to recruit a new employee. Why not expend the effort necessary to retain the employees that you have already painfully recruited and hired? Are your employees motivated to come to work every single day? Are they excited to be working for you? Employee appreciation goes far beyond the usual perks and privileges. If you choose to implement these 26 employee appreciation ideas, you will see reduced turnover and retain your most wanted employees. 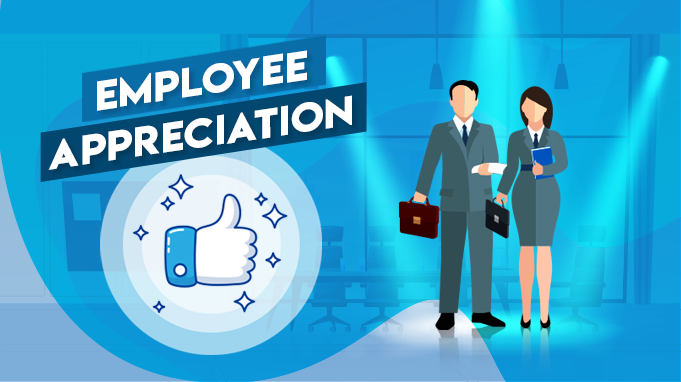 Employee Appreciation Day is a semi-formal holiday, celebrated on the first Friday of March to pay homage to the contribution of each employee. The knowledge that there is a whole day dedicated to employee appreciation should let you know the significance of it. We all know that employees are the most valuable asset for a business. Offering them a handsome salary is one aspect. But to make them feel valued is what-employees feel-the most important. Make the day special by organizing outside barbecues, or small office parties. Host fun team games to play with your members. Offer every employee a token or gift of appreciation from your side. All in all, make the day about them i.e. your employees. It might sound cliche, but small courtesies like a manager saying “thank you” to the team members can make a huge difference. We, humans, are emotional creatures and these small gestures can come off as a pleasant surprise to the team members. When you actually take the time out to involve with them on a personal level, employees feel that you actually care about them. It is especially meaningful when the appreciation comes from their bosses. Because honestly, everyone expects the managers and leaders to be bossy and unreachable. But when you thank them for their efforts, it can be a heart-melting moment that can bring respect for you and the business. Convey these “thank you’s” either in a heartful written card or, better yet, through a friendly handshake. Employees thrive at work when they know their contributions have meaning. Perhaps the best gift to give your employees is the public recognition of their work. Being a boss, every positive word from you will act as a huge morale booster for your employee. Better still, if this praise comes in front of their team members and peers. Talk about what you appreciate about that particular employee. About how his/her contributions have aided to a project’s successful completion. Mention about their desirable quirks like “always being on time” or such. An extra day off can mean a whole lot of possibilities to an overworked and overstressed employee. It means that they can catch up on the countless movies that they have missed. Finally going on a picnic with their loved ones. Or it just might be a beautiful day to sleep in. There are few things people love more than an extra day of freedom aside from the weekend. Gift cards allow people to purchase whatever they want from their favorite brands. Get to know your employees and find out what they like so you can give gift cards that are tailored to their interests. Appreciation from one’s peers has more significance than from one’s manager. Peer to peer recognition is about encouraging everyone to recognize good work. More than a manager, an employee’s peers are more likely to know about his qualities. Make it easier for team members to congratulate each other on a job well done. Food has a way of being a catalyst to bring people together. A team lunch is a great way through which everyone can bond with each other and with you. Do it privately-ish. No, not the executive lunchroom. That can be too intimidating for your employees’. Avoid the cafeteria as it can be very distracting. This is a time to focus only on the people sitting before you. Clear your schedule for at least an hour. Get Chinese food somewhere. Take off your suit coat. And remember to turn your phone off. Coming together this way will help bring your employees’ closer to you and also boost their morale. If you are looking to reward your employees with a little something extra. Consider sending your top ten performers off for a day or two at a spa to provide an incentive for continued performance. Bring in a songwriter, band, or comedian to perform at your workplace. or take a field trip to the local entertainment venue. Make it a fun and memorable experience. With higher motivation comes better engagement, happiness and ultimately retention. Hence, “Employee of the month” programs are a great way to show your best employees that you see their hard work and appreciate the efforts they are putting in. Thus becoming one of the best employee engagement activities that you can invest in. Want to give someone the gift that keeps on giving? Try a subscription box. From the monthly Netflix fix to news and magazines, it is easier than ever to show your appreciation. The charm of subscription boxes is that there’s something for everyone! Also, it doesn’t have to be expensive. It could be a magazine subscription (on a topic they would be interested in), treats for pets, snack samples, or anything they would enjoy. This helps your employees feel appreciated on an ongoing basis. Want to enhance employee morale while improving productivity and boosting creativity? Revamp your break room. A recent study published in Healthcare Design Magazine revealed that “an extreme break room makeover” at one health facility reduced staff “stress and fatigue”. PopCap, the company behind legendary Facebook games like Bejeweled, offers some amazing break rooms for its 400 odd employees. Some “lush sectional” couches. Video game consoles. And some seriously “tricked out” kitchens on each floor of their facilities. Their office is infused with fun, including random Razor scooters that are available to any staff who think better while in motion. The cost of commuting is heavily influenced by the location of the workplace relative to where the employee lives. One employee’s commute could be inexpensive while another employees’ could be prohibitive. That’s why it’s important to spread your actions around multiple methods of transports to appeal to the widest proportion of your workforce. You can arrange for office taxis or subsided bus fares so that commute becomes a tad bit easier on their pockets. For employees, having access to a mentor can add velocity to the workplace learning curve. The employee experience is richer, and the company’s outcome stronger. Having direct access to a mentor gives junior professionals valuable one-on-one training. Not just practical job skills, but behavioral and cultural skills as well. “Company leadership should embrace, promote and value mentoring programs to realize a return on investment,” according to Harvard Business Review writer Anthony K. TJan. He says that business leaders need to develop a structured and approach to mentoring. For example, new employees should receive a ‘buddy’ to learn the ropes. But employees with a few years of experience should be matched with a career mentor to help them grow in their position. Unique SWAG ideas have the power to set your company apart. To make your company memorable in a sea of forgettable mugs. SWAG stands for “stuff we all get”. Company branded swag can be simple everyday things like t-shirts, mugs or even pen-drives. It might sound kind of silly, but when used right company SWAG can have a big impact on building a positive workplace culture. In order to position your company as one where people really want to work, your company SWAG items had better reflect that. Social Media is the biggest influencer of our generation. When an employee above and beyond on a project at work or accomplishes a personal goal, give them a shoutout on social media to commend their hard work. Whether they worked late. to get a job done, blew past their sales goal, or volunteered at a local shelter, give employees the credit they deserve. You can even snap a photo and create your own hashtag for when employees achieve something especially commendable. To begin with, publicly recognizing great employees reflects well on your company for customers, investors, and your team. You can even display this social media recognition on your office’s digital displays to make sure the whole team sees it. Talking about making employees feel valued, a great way to do so is by involving them in the decision-making process, wherever possible. For instance, take their opinion during decisions like onboarding new technology or a certain project. This will make them feel a part of your business, and not just a mere employee. Your employees are amazing people with undisclosed talents. Some are great artists while some spend their time doing charity work. Why not recognize these incredible non-work achievements in front of their peers? Do the bragging behalf of your employees, and show your whole team how amazing everyone is. The best thing about birthdays is cake. And encouraging a “cake culture” can never be a bad thing. Celebrating employee birthdays never gets old. Between the confetti, balloons, and cake, office birthday parties are always fun to organize. It offers employees a brief respite from their daily work. Not to mention that birthday parties are an opportunity to appreciate peers. Every year there are days we look forward to. For some, it’s Christmas and Valentine’s Day, for others it’s a birthday. But there is one occasion in particular that should be praised with the same amount of spirit and vigor as the rest. The work anniversary. 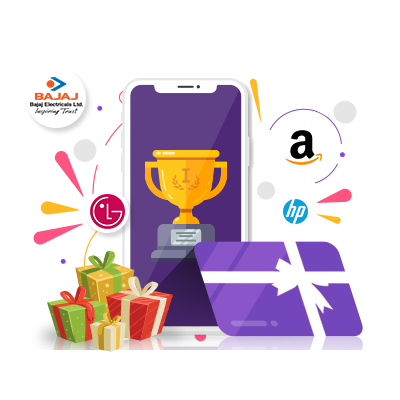 Commemorating a work anniversary is not only a strong employee engagement, development, and retention tool but also a way to recognize and show your appreciation to a valued employee. Every company has its own perks. Fully stocked kitchens, corporate team events, and the latest MacBook Pro. Although workplace benefits help keep employees happy, they rarely tend to spark inspiration. I am going to go out on a limb here to say to you something very important. Materialistic perks are fine. But providing a good employee experience is the future. Experiences, not cash, are the new corporate bonus. Unorthodox corporate perks such as trips to hike on a volcano or dive with dolphins are an increasingly essential way to attract, retain and motivate top talent. The thing that giants like Google and Airbnb have understood is that the physical environment of the office matters. A lot. A UK study finds workers’ job attitudes can be bolstered by allowing them to personalize their office. The lobby at Google’s Sydney office makes visitors feel like they’re about to embark on a safari expedition rather than drown in a concrete jungle. While personalizing spaces at work to fit the geographic locale or the personal tastes of employees has become common. Letting employees decorate their workspaces plays an important role in building relationships within the company. Employee appreciation is meant to make the workplace feel a little bit like home. Interesting work matter only if you have good food while you’re doing it. But here’s the thing. Offering free meals and caffeine is actually a highly effective and cost-effective means of motivating and controlling young employees. There’s nothing quite like dessert and ice cream to alleviate stress. Dessert buffets are fun and positively addicting. Just beware of overdosing on sugar. The team that plays together, bonds better. Sometimes the best thing you can do for your team is to enable them to let off some steam without the pressure to perform. From relaxing countryside walks to exciting challenges, your staff will have the time of their lives. Many a time they’ll bring that positivity and enthusiasm back to the workplace. Taking care of your employees’ health is the biggest form of appreciation that you can show. Promoting health is no longer seen as an initiative that yields ‘soft’ results. Instead, health promotion ensures that your staff actually want and like to be at work. You can take the first steps in promoting the importance of health. Offering company wellness programs within a vibrant culture of thriving well being can greatly enhance that connection. You can also offer a myriad of health benefits. It can range from conducting regular health check-ups, yoga sessions, dentists appointments and offering health insurance. And it pays off. Employees who believe their employer cares about their health feel more engaged and invested in their company. In turn, healthier employees produce better results for their companies. Therefore it’s a win-win situation. Harvard Business Review reports that “the most impactful driver of employee engagement is recognition”. Employees respond to appreciation expressed through recognition of their good work because it confirms that their work is valued by others. When employees feel that their work is valued, their satisfaction and productivity rise. Also, they are motivated to maintain or improve their good work. Thus in this scenario, investing in an effective recognition program becomes more important than ever. Employee appreciation is the cornerstone of developing a robust and meaningful workplace culture. Many a time, showing some employee appreciation may seem hard. But while employee appreciation may seem a bit heavy on the pockets, bottom line is that it will lead to several long term benefits. 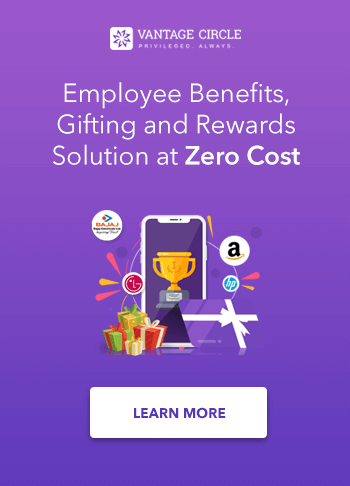 But if you follow the 26 employee appreciation ideas articulated in this article, you might find that employee appreciation becomes a tad bit easier and a whole lot more fun.